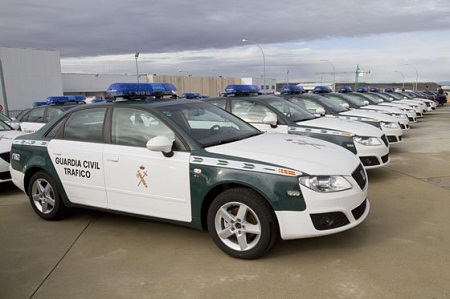 We have several security forces here, the local police, national police, Canarian police and the civil guard. My dealings with the police on behalf of guests where I work have only been because of theft and this is the only real problem as far as crime goes on Lanzarote. Only telephone the police if you need their assistance to stop a crime in progress. 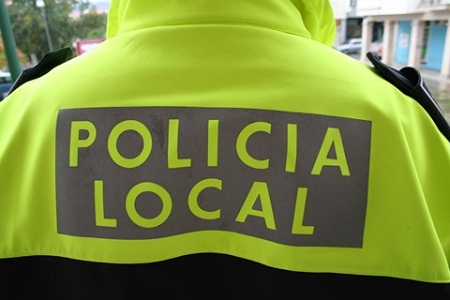 The police here speak very little English so unless you can talk to them in Spanish, simply let them know where you are and they will come straight to you to sort out any problem. To report a crime to the police "after the fact", or to obtain a police report for any reason, you will need to go to the local police station. If you don't speak or understand Spanish, there's a slight possibility you can get by with a phrase book, though in my experience you will have to take someone with you who can speak some Spanish. If the police can't understand you, they won't make a report. If you are the victim of theft whilst here and are covered by insurance, you need a police report to make a claim. Sorry but don't expect them to catch the criminal and get back what was stolen, I've yet to see or hear of that happening. You also need a police report for a duplicate passport. The first person you should notify is your holiday representative if you've booked through a tour operator. They may be able to warn other guests for example if the theft was from your apartment but more importantly, they can arrange for someone to go with you to the police station to make the report. If you haven't a representative to report to, try the reception of the apartment complex or hotel that you're staying at. They can arrange for someone to go with you, although there may be a fee to pay if they contact a professional translator for you. "Prevention is better than cure" and you shouldn't have to worry about theft or reporting theft to the police, if everyone is careful with their valuables. All apartment complexes here have some form of a secure, safekeeping system for their guests. This is usually in the form of safety boxes in each apartment, if not by reception. Hire a key and keep your valuables in here when not needed. The local post office also has safety deposit boxes for hire. Don't leave valuables lying around your apartment, especially if in view from a window, nor in a car. Don't take valuables to the beach if you're likely to leave them unattended and check you have your bags and everything in your pockets when leaving a bus or a taxi. This way, you should have a safe and problem free holiday. If you're driving a car, as well as papers for the car you must always have your driving licence and passport with you. If you're stopped by the police and can't provide all of these, you will suffer an on-the-spot fine of anything up to 300 euros. The police patrol the resort 24 hours a day. Whilst they understand everyone's here to enjoy themselves, there's a limit. Consideration for others is expected, especially after midnight. If anyone's causing a disturbance, especially where violence or drunkenness is concerned, the police should be called and they usually sort the problem out on the spot, otherwise those responsible will be taken away for the night. You won't find the police in any way sympathetic or understanding towards you in any circumstances if they think for a moment you are to blame in any way. DO NOT (under any circumstances) lose your temper with either police force, argue with them or shout at them. You will regret it.